Catch your fans’ attention with our Top 10 merch ideas. We’ve looked across all artists stores on Music Glue and made a list of the coolest and best-selling ideas used by artists. Your fans will LOVE unique products you’ve handmade or personalised. Seasonal cards, screen printed signed posters, hand painted ashtrays or mugs... Get crafty! Just like vinyl made a comeback, music lovers are getting nostalgic for cassette tapes and the format is flying faster than Rudolf. Cheaper to produce than vinyl or CDs, they’re an easy way to make additional income when you release new music and you can bundle them with a download. T-shirts are a powerful marketing tool that can amplify your campaign; a mobile billboard if you will. Get to know your fanbase and offer creative and topical designs that will resonate with them: album artwork, tour dates, a joke, a cause that is close to your heart… there’s always a good excuse for a great t-shirt. With Music Glue’s Print on Demand service, you can get very creative without any stock or financial risk. Take a look. Your fans know what your music sounds like, but do they know what it tastes like? Pair your music with unique flavors to give them a sweet (or savoury) treat. We love Lucy Rose's South American Blend Chocolate, a hint at her trip around South America which inspired the album. Music fans are often musicians themselves. Offer them the opportunity to sound a bit like you. Branded plectrum, pedal, turntable slipmat and drum sticks all sell well. What really matters to your fans is creating a strong connection with you. Give them this opportunity by offering them meet n’ greet sessions, a Skype call or a pass to sound check at one of your shows. Find out how to sell experiences on Music Glue. We’ve seen loads of skateboards in stores lately. Metallica have worked with Lovenskate to design a range of exclusive skate decks featuring the band’s artwork. Nice idea if your fans are the skating-type, or maybe they’ll prefer a baseball bat. Tea towels are an easy win; everyone uses them, they make for a great gift and are a cost-effective way of printing up your original designs or illustrations. 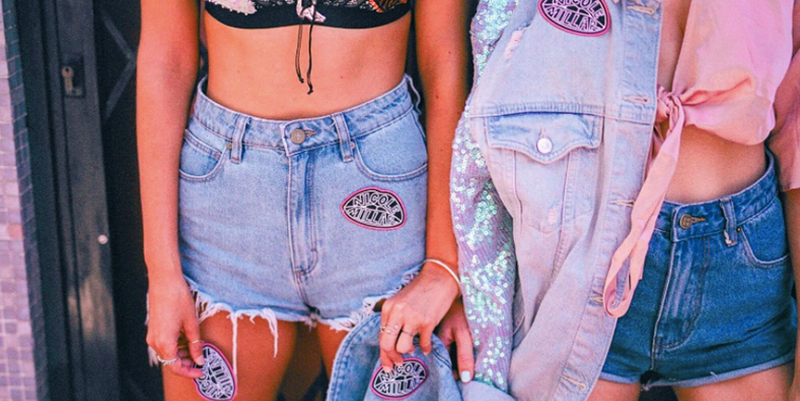 Your fans want to feel like they’re part of your community and nothing says ‘I belong’ like cute pins and patches to customise their daily clothing. Plus, they’re super trendy. It’s a fact we observe daily, signed products always sell faster than un-signed ones… So next time you release physical music, or any merch for that matter, incentivise your fans with a limited signed batch. And one final tip… add context in your product descriptions. Cues such as ‘the perfect gift for…’ in product images or titles will incentivize your fans to also buy for family and friends! Create your free website and online store today, get started with Music Glue.